Treats, brightens and maintenance all colors. 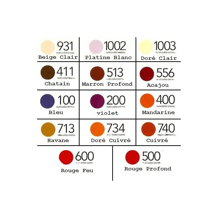 Purple, copper, red, brown, blond, beige ... no less than 15 different shades for hair color loss. 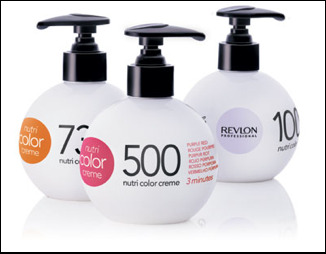 Real personalized care, it revives a reflection of your colored hair and hydrates by focusing on softness and light. On towel-dried hair, evenly distribute throughout the hair, leave for 3 minutes then rinse. Collection Hair tips: Wear gloves for sharp and dark tint as it may mark the skin.